New research by Nielsen Games indicates that contrary to conventional wisdom, exclusive game releases don't actually have much of an impact on console sales. Halo, LittleBigPlanet, Daisy Fuentes Pilates: These are the games, so the thinking goes, that sell the systems. If you want to play the game, you have to buy the box and console exclusivity helps ensure you'll make the right choice when it's time to hand over your cash to the kid behind the counter at Best Buy. Or does it? Not necessarily, according to new research by Nielsen Games, which interviewed more than 700 gamers aged 7-54 who currently don't own a PlayStation 3 but are "definitely or probably" going to pick one up within the next six months. 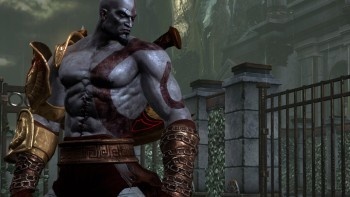 The interviews took place over a three-week period before, during and after the release of God of War 3, a PS3 exclusive that "was greeted with extensive media coverage, midnight launch parties at video game retailers and excellent critical reviews," and asked potential customers to rank their five most important reasons for considering the console. Among those who said they were motivated by the desire to own a particular game, God of War 3 was far and away the number one title, but of the top ten reasons cited, interest in a specific game was at the very bottom of the list. The study looked only at the PlayStation 3 (I suppose you could say it was a console exclusive) but it's not unreasonable to assume that the results would break down similarly for the Xbox 360. Exclusive games can still be an "important asset" in the decision-making process, according to the report, but "more often the game will be considered one of many reasons to acquire the console rather than the sole motivator." Does this mean that Sony, Microsoft and Nintendo will stop throwing truckloads of cash at game developers to keep them on the ranch? Probably not any time soon. Still, Daisy Fuentes on the 360... Dare we dream?